The American physicist, Sheldon Lee Glashow received the Nobel Prize for Physics in 1979, with Steven Weinberg and Abdus Salam for their complementary efforts in originating the electroweak theory. This theory is an important contribution to the unification of elementary particles and forces. He is also known for his work which led to the prediction of neutral currents, charmed particles, and intermediate vector bosons, all of which were subsequently discovered by experiments. He is the author of around 300 research papers and three books: “Interactions”, “The Charm of Physics”, and “From Alchemy to Quarks”. Currently he is the Metcalf Professor of Mathematics and Physics at Boston University. Sheldon Lee Glashow was born on December 5, 1932, in the northern tip of Manhattan in New York City to Jewish immigrants from Russia. He was the youngest of three children of Lewis Gluchovsky, a plumber, and Bella Rubin. He received his early education from the Bronx High School of Science in New York City. In 1954 he completed his graduation in Arts from Cornell University and five years later in 1959, he received a Ph.D. degree in physics from Harvard University under Nobel-laureate physicist Julian Schwinger. At Harvard he founded important theories of electromagnetic and nuclear particle interaction, which laid the basis for the next generation of research on quarks and leptons. After a small period at the Bohr Institute in Copenhagen, CERN in Geneva, and the California Institute of Technology, Glashow spent five years (1961 to 1966) teaching at the University of Stanford and the University of California (Berkeley), before returning to Harvard in 1967 as lecturer of physics. He has served the science policy committee of CERN since 1979. During 1972 Glashow married Joan Alexander, with whom he had two children, Bryan and Rebecca, and two step-children, Jason and Jordan. With the assistance of Julian Schwinger, Glashow in 1961 extended his work on electroweak unification models. Through his workings he discovered the basis of the accepted theory of the electroweak interactions and was awarded the Nobel Prize in Physics in 1979, along with Steven Weinberg and Abdus Salam. In 1964, while working with James Bjorken, Glashow was the first to predict the existence of a fourth quark, which he originally named the “charmed quark” (now charm quick). Through this, he demonstrated that the quark pairs would largely cancel out flavor changing neutral currents, as well as eliminating a technical disaster for any quantum field theory with unequal numbers of quarks and leptons-an irregularity. 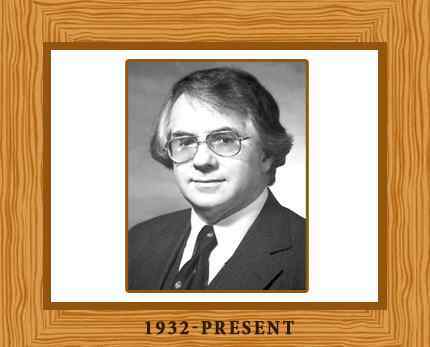 Along with Howard Georgi in 1973, Glashow devised the first grand unified theory. This work was the groundwork for all future unifying work. Apart from scientific articles, Glashow has written a number of popular articles, a collection of tales, charts, cartoons, and poems about physics and physicists. He is also one of the members of the Board of Sponsors of The Bulletin of the Atomic Scientists. He was the focus of a far-reaching profile in the Atlantic Monthly during August 1984.